We've got something special planned for post-ride this week: ICE CREAM & GEAR SWAP! Yes, indeed, you read that right. We'll meet at the usual time for a mountain bike ride in Annadel, and then mosey over to Megan's house afterwards for an ice cream social and gear swap. HOORAY! - Megan is an ice cream maker extraordinaire and is concocting the deliciousness by hand. Oh my. - You can bring your favorite ice cream toppings or other appetizer-y snack. 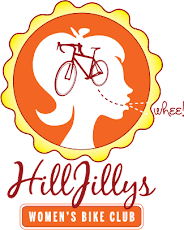 - You can bring bike parts & exercise-y gear, too, and if you have something you want to move--but not for free--you can add a price tag and try to sell it to a fellow HillJilly. - You don't have to do the ride to do the social. If you can't make the ride, join us at Megan's house at 1pm. For the ride, meet on Channel Drive at 9:30am on Saturday, at the bottom of Cobblestone. If you're coming only to the social, RSVP here and we'll message you the address. Hope to see you!